From the main menu, Click on Reports. Select Walk through report from the reports page. 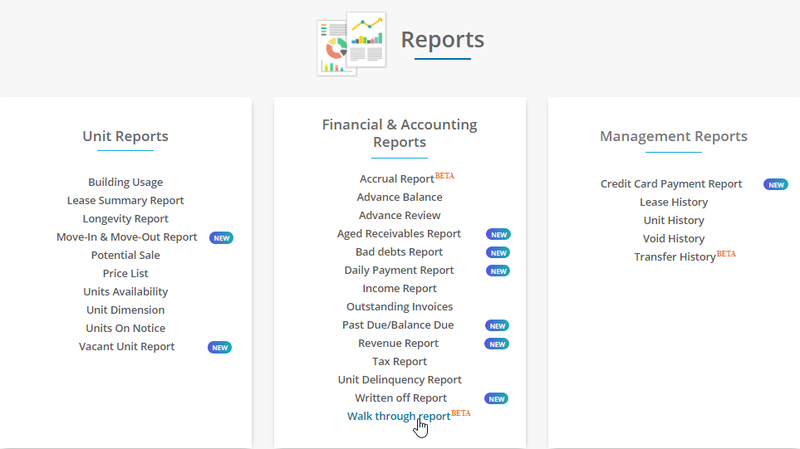 Set the search criteria you wish to have and click on Get Reports button to view the reports. Walk through report shows the data of all units status. It gives the information about the status, Currently Occupied tenant name, Rent, Measurement, Balance, and the paid through amount.